Hello and a big welcome to this weeks best and worst linky. We are backkkkkk!!! 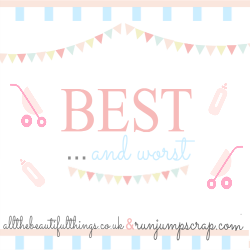 After a lovely few weeks off from the linky Sarah and I are back with best and worst. We hope you all had a fab Easter and look forward to reading lots of new posts. This week is going quickly and here we are again, Wednesday and linky day.